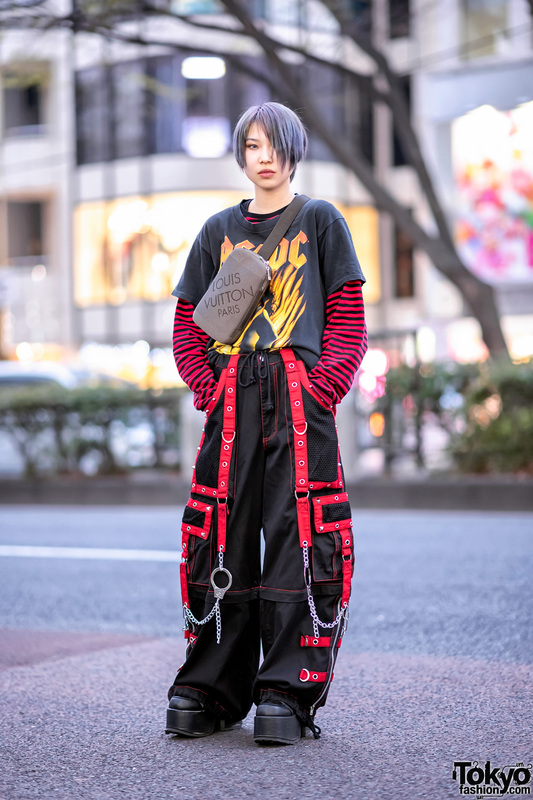 Rio is a long time Harajuku girl, huge Lady Gaga fan, and Japanese fashion industry worker who we have been street snapping for several years. Rio’s look here features a faux fur jacket from the Moschino x H&M collection, graphic t-shirt, vintage faux leather shorts, and resale patent platform boots with striped socks. 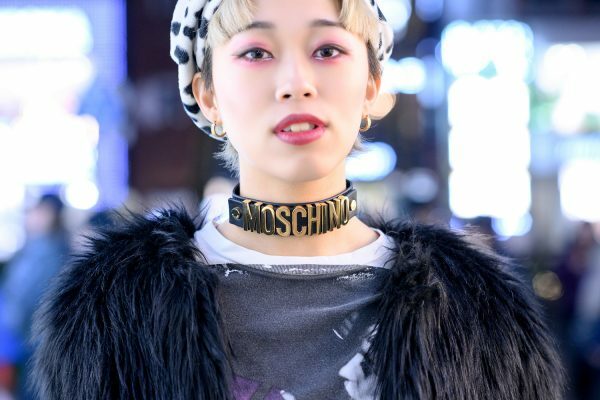 Accessories include her Marc Jacobs x Anna Sui purse, a dalmatian print hat, and a statement Moschino choker. Rio’s favorite fashion designer is Marc Jacobs and her favorite musical artists are Lady Gaga and Dua Lipa. Follow Rio on Instagram and Twitter for more of her street style.